Boyle Heights was well represented regionally and internationally last month when teams from the Science Technology Engineering and Mathematics Academy of Boyle Heights participated in two competitions. 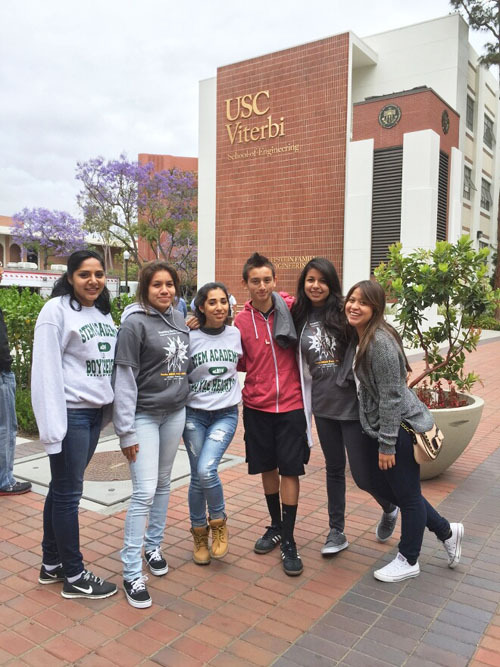 In the USC MESA Regional Finals, along with 40 other schools connected to USC, UCLA, CSULB and CSULA MESA Centers, STEM of Boyle Heights won second and third places. Taking home medals were ninth graders Ashley Garcia and Destiny Ayala who placed second in the glider competition; 10th grader Maricruz Perez who placed third in the mousetrap competition and 9th grader Ernesto Rodriguez won third place in the bridge competition. MESA (Mathematics, Engineering, Science Achievement) is a program of the University of Southern California (USC) that serves educationally disadvantaged students and emphasizes participation by students from groups with low rates of eligibility for four-year colleges. Rodriguez, 15, who is also president of the Associated Student Body, told EGP he was exited to be able to participate in the competition. “It took us about a week to build the bridge,” he said, adding that he’s ready to do it again next year. Internationally, STEM of Boyle Heights was one of 56 finalists in the international contest that started with 800 high schools competing to make it to the 2015 International Bridge Competition in Portland Oregon. The school’s team of ninth graders – David Soria, Luisa Tolentino, Viviana Ortega and Yadira Perez – placed 9th in the bridge building competition. The International Bridge Building Committee is a Chicago, Illinois based group of high school teachers, university faculty and engineers who together with regional hosts from across the US provide oversight for the contest. 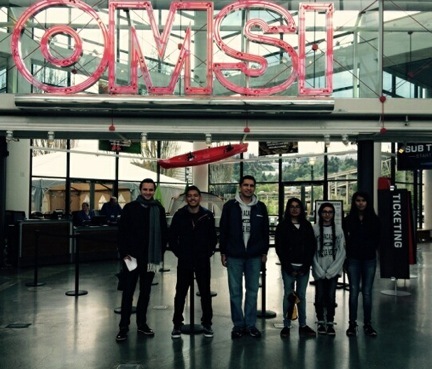 STEM of Boyle Heights was one of two schools representing Los Angeles in Portland. The other was Robert H. Lewis High School. Students who participated in the competition held at the Oregon Museum of Science and Industry got a taste of what it takes to become an engineer, design structures and then see how they perform, according to the organizers. The construction and testing of model bridges promotes the study and application of fundamental physics principles to help high school students develop “hands on” skills, states the group’s website. May 7, 2015 Copyright © 2012 Eastern Group Publications, Inc.